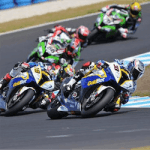 Phillips Island Superbike WC Kicks off The 2018 World Superbike World Championships kicks off this month on the 24th and the first race finishes on the 25th. 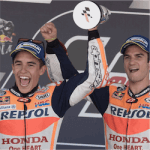 It marks the 31st running of the event with the first race taking place on Phillip Island in Australia. The country has already …. 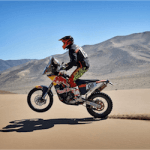 Bringing Enduro Racing Out Of The Dark If the Dakar Rally is to achieve anything, then it’s to bring the world of endurance racing – more particularly enduro motorcycle racing – out of obscurity. Just ask Aussie enduro motorcycle champion Toby Price. If Price were to successfully compete the Dakar …. Dovizioso And Keeping The Dream Alive Andrea Dovizioso is well on his way to winning his 1st MotoGP world championship ahead of the Valencia Grand Prix on November 12th. Winning the Malaysian Grand Prix and his sixth race this season has insured that its now all down to the final …. Notable Racing Action The Next Two Weeks There are some fantastic races ahead for the next two weekends with top competitors in the field. Dato Tan Chin Nam Stakes Set for the 9th of September, the Dato Tan Chin Nam Stakes has a prize pool of A$250 000. New Zealand …. 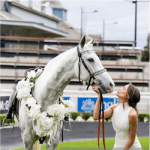 Sydney Spring Carnival Comes To Randwick Taking place from August to October each year, the Sydney Spring Carnival brings Australia’s harbour city to its feet. 2017 will see the event making its debut at Royal Randwick and promises to be one for the history books. The Carnival is made up …. 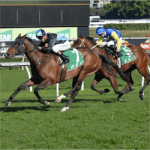 Quinton Attacks Show County Quality Ron Quinton already has high expectations resting on the performance of Winx this coming weekend, but he also has two potential stars, namely Daysee Doom and Dixie Blossoms. 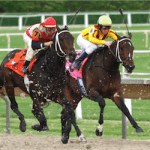 These two mares have shown great potential and they are returning to professional racing after a break …. Trapeze Artist To Return At Up And Coming Stakes Gerald Ryan is launching an all out attack this Spring. After Menari won the Listed Rosebud ,Ryan’s 3 year old Trapeze Artist will be taking on the Up and Coming Stakes. So far Trapeze Artist took a 6th in the Golden …. Supercars Paying It Forward The Supercars brand has had a reputation for not shying away from lending a helping hand to charities in need of funding, and the general doing of good deeds and community upliftment. 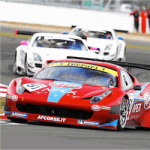 Recently, they have also shown themselves to be invested in the future of Supercars …. 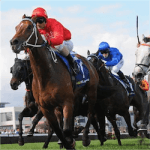 Ready For The Run – 2017 Vain Stakes The Vain Stakes is one of the all time favourite Group 3 Thoroughbred events among trainers. 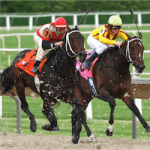 The event is open to all 3 year old thoroughbred colts and geldings and is run annually over a distance of 1100m at Caulfield Racecourse in …. 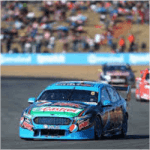 Mostert And Prodrive Racing Australia Get Their Gear On Ford’s Chaz Mostert on Sunday beat fellow Ford driver and race favourite Scott McLaughlin to the post at Ipswich Supercars – securing his second race win this year. Mostert seemed notably relieved and understandably so since he has been gearing forward ….